Pulsed acoustic analyzers of chlorine in N2, air, and O2 are considered. 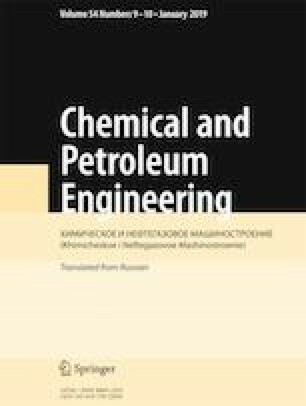 The possibility of using these devices for technological process control in the chemical and related industries is demonstrated by mathematical modeling. Translated from Khimicheskoe i Neftegazovoe Mashinostroenie, Vol. 54, No. 9, pp. 40−44, September, 2018.